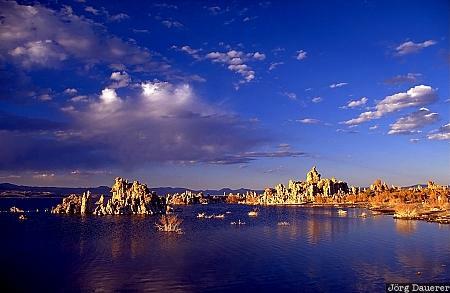 Blue sky and white clouds above the spectacular tuffa sculptures of Mono Lake. Mono Lake is in the eastern Sierra of California in the west of the United States. This photo was taken after a sunny day in early October of 2000.